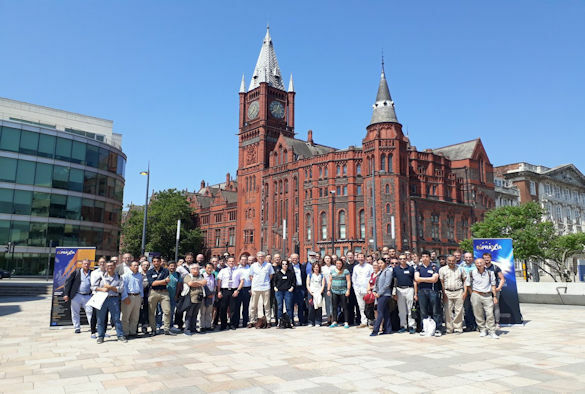 The ‘Quantum Leap Towards the Next Generation of Particle Accelerators’ Symposium, organised by the University’s Department of Physics, is taking place on Friday, 6 July at the Liverpool Convention Centre. 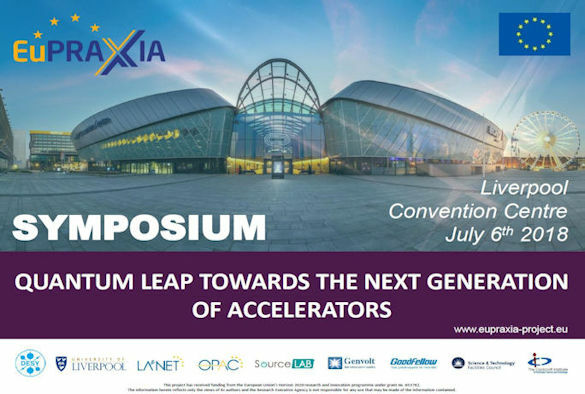 It will feature talks about industry opportunities and large scale infrastructure in plasma acceleration, an industry exhibition highlighting the latest technologies and market-ready products and a poster session showcasing the results of EuPRAXIA’s design of a new 5 GeV electron accelerator facility. The Symposium will feature specific sessions for over 150 students from local secondary schools to find out about ground-breaking accelerator science taking place here at Liverpool and the Cockcroft Institute. The talks will be streamed live on http://www.eupraxia-project.eu/live-streams.html. A range of interactive demonstrations which help explain accelerator science through marshmallow waves, Gauss rifles and the Surfatron – a game designed to demonstrate the concept of plasma wakefield acceleration – will be available for participants to interact with.